A growing number of families on low incomes, who are some of the UK’s most vulnerable households, don’t have the money to adequately heat their homes. The Government is attempting to address the issue with the Energy Company Obligation. Often shortened to just ECO, it’s a scheme that will help UK households lower their energy bills by becoming more energy efficient. We’ve put together some of the most important things to know when applying for a boiler grant with ECO. As the name suggests, energy companies (who have in excess of 250,000 domestic customers) have a legal obligation to provide support and take part in ECO. It means energy providers including traditional suppliers like British Gas, EDF Energy and Scottish Power must provide funding to help families on low incomes who live in the country’s fuel poorest areas save money by heating and insulating their homes more efficiently. The scheme was originally only set to run until 2015 but due to its popularity this has been extended into 2019. Make sure to apply for a boiler grant using the form above before ECO closes its doors! 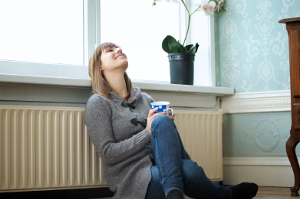 Under the Affordable Warmth Obligation, which forms part of ECO, you might be eligible for a grant to help pay for home insulation, a boiler repair or, better still, a brand new Worcester, Vaillant, Baxi or Ideal A-rated energy efficient condensing boiler. You may have heard of the Warm Front scheme which ended in January 2013. Not to worry if you didn’t have the opportunity to apply for it though as ECO offers very similar benefits to recipients. If you live in Northern Ireland there is an alternative scheme called Warm Homes Grants. You can visit Home Heating Guide to find out more information on the grant, its criteria and how to apply. If you do live in privately rented accommodation you will need to get permission from your landlord. Unfortunately you cannot claim the grant if you are living in a council property. 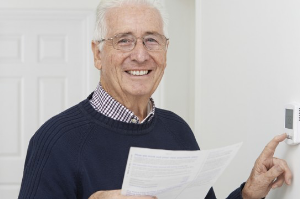 In order to qualify for a government boiler grant you will need to be in receipt of specific benefits (and possibly meet additional criteria). You can find all of the details about this on our qualifying criteria page. 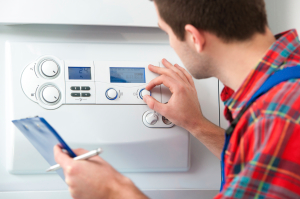 Your boiler must be at less than 86% efficiency for you to qualify for a replacement. This is far more likely with boilers which are older and to qualify with Boiler Grants yours must be 8 years old or more. 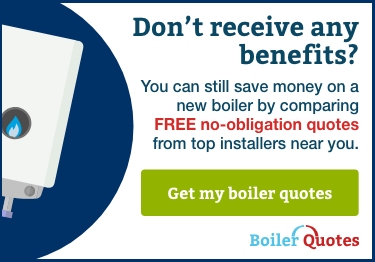 It is likely that you will be asked to contribute towards your new boiler, although in some cases the cost may be covered in full by the grant. This amount will be a lot less than what you would pay for a new boiler without an ECO grant and you could see energy savings of up to £300 a year. 10. Applying for a grant is actually very easy! All you need to do is put in your postcode to start the application and answer a few questions to see if you meet the qualifying criteria. One of our friendly team will then get in touch at a convenient time to confirm the details, talk you through the process and answer any questions you might have. A qualified surveyor will then visit your home to double check everything is in order and approve your grant. A Gas Safe registered installer can then put in your new boiler and you can begin saving on energy bills! You can find out more about the ECO scheme in our Boiler Grants comment section. "Excellent service. I am so happy with this company. Within 3hrs of me doing the survey there was a man here to do the building survey. I'm getting my boiler for free and installed within 10 days. I can't praise them enough."